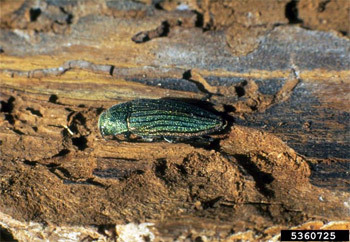 This is the family of metallic wood-boring beetles. Almost all adults of this family have a metallic appearance. Their larvae resemble that of the longhorn beetle, but their boring habits under the bark are distinctively zigzag.